All of the exciting, upcoming congresses in Cannes, Autumn 2018! Looking forward to the second half of the year, the Riviera Luxury Rentals team is excited for the coming months, which sees some very exciting congress events come to town! Some of the biggest events of the year in Cannes has passed, such as MIPIM, Cannes Lions, and of course the world-famous Cannes Film Festival – yet, the year is not done, and with other congresses such as MIPCOM on the horizon, we take a look at what is yet to come! Some of the most famous Yacht Shows in the world occur in the autumn months, and the Cannes Yachting Festival is among them! The yachts come to town mid- September, where hundreds of yachting industry companies come to Cannes to exhibit their products and services. 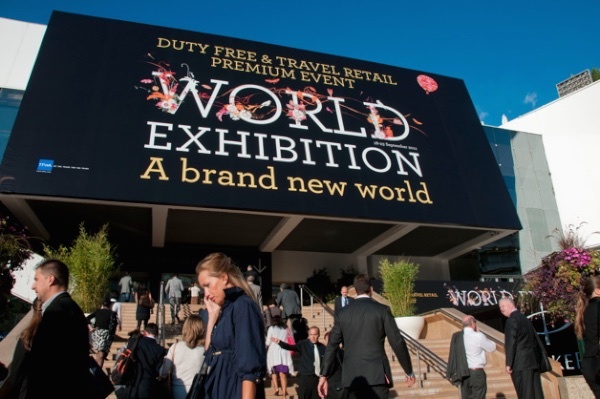 Hundreds of companies from the global duty-free and travel retail industries come together at the TFWA Cannes congress, where the latest business trends and opportunities are sought out. The Association offers a platform where suppliers and retailers can network and prosper, together! The biggest TV and digital media conference of the year comes to Cannes in mid October, with hundreds of tv production, distribution and purchasing comapnies coming to Cannes to build new relationships with potential partners! The international retail property market brings huge companies to Cannes, such as Adidas, Samsung and Unilever, all to learn from the leading industry professionals, collaborate and meet business partners and clients. Professionals from the digital trust technologies industry descend onto Cannes and head for the Palais des Festivals convention centre in Cannes. Trustech emcompasses all secure technologogies and applications that are being developed and deployed in the current market. The International Luxury Travel Market brings together luxury travel products and services companies, and is the only truly global tradeshow for luxury travel. This event introduces you to global travel buyers from all segments interested in luxuy products from the travel industry. Will you be attending any of these upcoming congresses in Cannes? Get in touch with the team at Riviera Luxury Rentals for all of your accommodation needs! We have 100+ properties in and around Cannes, from 1 and 2 bedrooms all the way up to massive 10 bedroom villas! We truly have something for everything. Call our English speaking office on +33 49 39 99 67 5 or drop us an email at contact@rivieraluxuryrentals.com and we will be happy to help! Previous Post Selection of the week! Next Post Watch Chelsea FC v Inter Milan this Saturday in Nice!